Find a vacation home to rent in Ølen Municipality from our list of vacation rental properties. 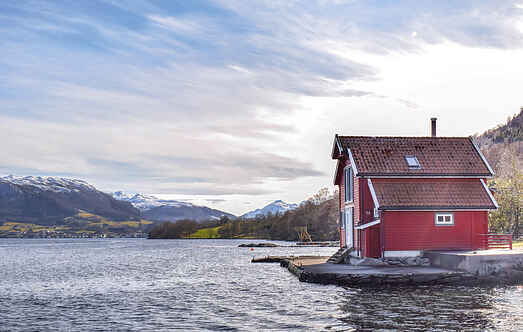 Campaya has over 7 vacation homes available in Ølen Municipality, which give you the possibility to locate a unique accommodation in Ølen Municipality which completes your check-list in search for the perfect self catering vacation apartments in Ølen Municipality or vacation villas in Ølen Municipality. A nice holiday house with a great and sunny outdoor area. Here can you really enjoy long and nice summer evenings. Various boat and motor sizes for hire. A great holiday house with a large and sunny patio with barbecue area on the pier. A perfect place to enjoy sunny summer evenings. Welcome to a nice vacation house with great location on a sunny plot. Short way to the bay with boathouse and pier. Fishing both from pier and boat in Ølensfjorden. A nice holiday house with stunning view over Ølensfjorden. The house is located in a quiet area with a great and sunny outdoor area. Welcome to a vacationhouse with a beatiful location by Ølensfjorden in Hordaland. The area is peaceful and perfect for a relaxing holiday with family and friends. This large and unique holiday home, built in traditional Norwegian style, is located on a hill, 50 metres above Lensfjord and offers a panoramic view of the fjord landscape.